At The Youth Radar we have plenty of praise for other blogs and internet sites that we enjoy. Here’s a collection of our favourites. IBWM‘s intriguing subcultural articles come from a range of talented writers looking to explore football beyond the mainstream news we associate ourselves with every day. IBWM has been a huge inspiration in getting this site up and running and will continue to be one of the most, if not the most, respected football blogs on the internet. Zonal Marking explores tactics, formations, diagrams, chalkboards and graphs, all in one very exciting package. The site analyses some of the top European games for their tactical points and provides a very interesting read for any football fan. Definitely one of the top blogs on the scene. The Youth Radar often contributes to the home of England FansOnline. This website is a great place for all your latest England senior’s news and also features youth reports from any team below the seniors courtesy of ourselves. Surely worth a bookmark? Flashscores.co.uk brings you live and up-to-date scores as they happen from all the world’s games. The ultimate resource of catching up with the day’s action! It’s partner, Livescores.com.au brings you another perspective on the scores from the other side of the globe! Check them both out! Caleb Cousens brings a new website called Football Cantera which explores the world of youth football in Spain. It’s no secret that the Spanish youth system brings out the best hidden gems of our game and this site gives an insight into those future talents! 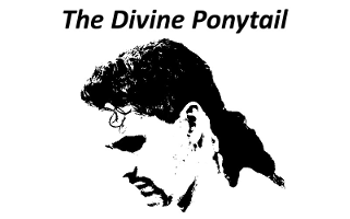 The Divine Ponytail, based on Roberto Baggio’s hair, is a football blog looking at lots of different aspects of the game – well worth a read. Studying by way of the good content material, will help me to complete so often.